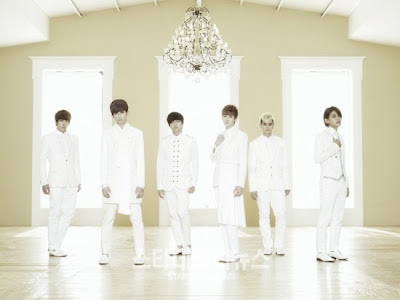 U-Kiss’ upcoming Japanese single has been selected as the theme song for an upcoming new Japanese drama. On December 17th, NH Media revealed that U-Kiss’ upcoming 6th Japanese single titled, “Alone” has been selected as the theme song of NHK’s new drama series ‘Bookstore Worker Michiru’s Personal Story’, which will start airing on January 8th next year. “Alone” is the title track of the group’s upcoming Japanese single of the same title, which will be released in Japan on February 13th. U-Kiss is gaining much attention with the selection of their song as it is a first for the group, reflecting the group’s rising popularity in the country. ‘Bookstore Worker Michiru’s Personal Story’ is based on popular writer Sato Shogo’s novel ‘Personal Story’ which is about a bookstore worker named Michiru whose life changes overnight after winning a lottery worth two hundred million yen.